Q1. Where are stingrays found and what types are there? Rays are the largest type of venomous fish. They are flat-bodied and cartilaginous. They are among the commonest causes of fish-related injury and/or envenoming worldwide (e.g. over 200 cases per year in the United States). 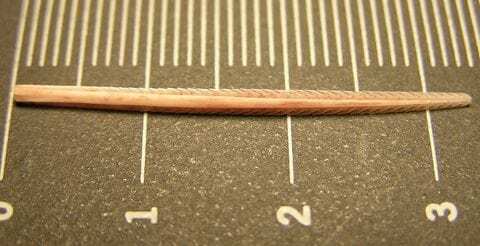 Injury is usually the result of traumatic contact with the stinging barb(s) of the animal’s tail. Numerous species are found in waters all around Australia. Rays are also found in temperate and tropical waters worldwide, including tropical freshwater systems in South America, Africa, and South East Asia. Q2. How do ray injuries and envenomings occur? Stingrays have acquired an undeserved notoriety, particularly following the death of Steve Irwin. They are placid animals that are non-threatening to humans except in special circumstances (unlike some of their elasmobranch cousins, the sharks). Fatalities from stingray encounters are rare. Stingray spines consist of stilletto-like, backward-pointing, serrated barbs made of a hard bone-like cartilagenous material called vasodentin. The spine has two ventral grooves lined with venom-secreting glandular cells and the entire structure is contained within an integument that rips open when a target is struck. This can result in deep lacerations or punctures with the introduction of venomous foreign material. 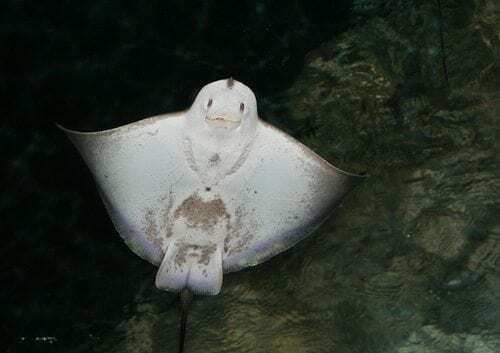 Typically, injury occurs when a person accidentally encounters a ray lying still on the sea bed, where they like to fed on mollusks, marine worms and crustaceans. On perceiving a threat stingrays defend themselves with their whip-like barbed tails, which may bear single or multiple spines. Their tails are highly maneuverable and can jack-knife forwards or sideways at high speed. Q3. Describe the effects and clinical importance of stingray venom? Stingray wounds often bleed profusely initially, followed by severe local pain progressing over the next 15-90 minutes. The wound may be ragged and gaping. The direct trauma from the stinging barb is generally of much greater clinical significance than the envenoming syndrome. However, stingray venom should not be dismissed as clinically irrelevant. Stingray venoms are poorly understood, for reasons that include the absence of “milkable” venom glands (stingrays can’t be milked! ), difficulties in extracting and isolating the venom, and the physical instability of venom constituents. non-protein components such as serotonin and numerous as yet unidentified substances. 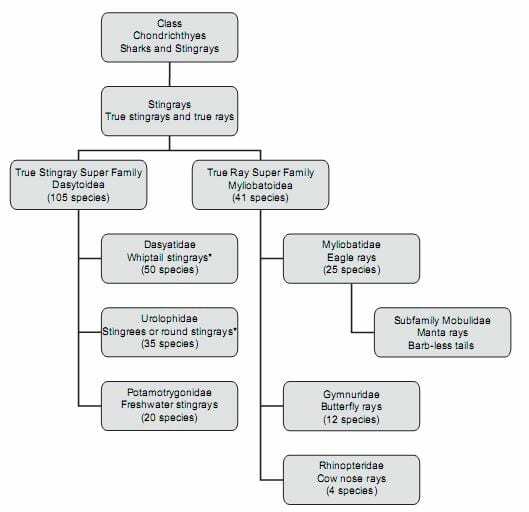 Stingray venom systemic effects are associated with viscus penetration, and rarely, if ever, occur in those with peripheral stingray injuries only. Cardiotoxic effects have been demonstrated in humans and experimental animals, but stingray venom does not have anticoagulant, hemolytic, or neuromuscular-blocking properties. Q4. What types of injuries do stingrays inflict? Stingrays typically inflict deep lacerations and puncture wounds. The injuries most commonly affect the limbs and may involve various structures including tendons, muscle, joints, nerves, and vessels. Penetrating neck, chest and abdominal trauma may also occur with the potential for life-threatening damage to the structures just mentioned, as well as potential airway compromise and damage to internal organs. 1938 — An autopsy demonstrated that a New Zealand woman died from a stingray bard that transfixed both ventricles of the heart. 1945 — An Australian soldier was killed by a ventricular injury inflicted while swimming in St. Kilda Baths near Melbourne. His wound was 7.6 cm long but no barb was found, and no stingray was positively identified. 1989 — The case that inspired this “toxicology conundrum” – a 12 year old boy died (after being discharged well) 6 days after a chest wound inflicted by a stingray barb. Autopsy revealed a left pleural effusion and a necrotic right ventricular wound with a 1 cm rind of clotted pericardial blood. However, the offical cause of death was pericardial tamponade from chemical (rather than traumatic) myocardial necrosis, presumably attributable to the local cardiotoxic/ myotoxic effect of the stingray venom. 2006 — The tragic death of Steve Irwin; a stark reminder of relative insignificance of stingray venom compared to the severe direct trauma that can occur. retained foreign bodies (fragments of barbs, the spine integument, and venom-secreting glandular tissue) may migrate causing local tissue injury or result in granulomatous foreign body reactions. Q5. Describe your approach to managing this patient? Q6. When should antibiotics be used in stingray injury? What should be used and why? The injury itself may introduce marine pathogens such as Vibrio species causing necrotic wound infection. The most important factors in preventing infection are likely to be early wound irrigation, debridement and the removal of any foreign material. Antibiotic cover should be considered for large or established wounds, especially if irrigation or debridement was delayed, and for penetrating wounds. Clark et al (2007) reported high rates of representation with local wound infections among stingray injured patients who were not given prophylactic antibiotics. In Australia, commonly used prophylactic antibiotics for wounds exposed to seawater include doxycycline 100mg daily or ciprofloxacin 500mg twice daily (or as dictated by wound cultures). Q7. How might stingray injuries be prevented? Finally, amidst all this doom and gloom, we should remember that there are people in the water alongside stingrays all the time and injuries are proportionally uncommon, and usually minor when they do occur.